You could win a 3 hour session aimed at Mumpreneurs, including afternoon tea in a venue in Herts, Beds or Bucks, where we will discuss your business plans, problems, performance and processes and make a personalised action plan of how to move your business forward to achieve your goals. Want to earn more, or work less, or maybe even both? Let’s work out how to get you there. 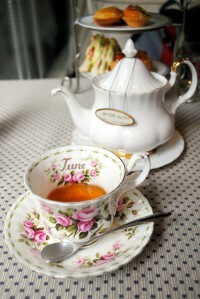 Providing plenty of practical advice, I won’t just tell you what you need and then leave the specifics of the how for you to figure out for yourself, I will work with you to make a manageable plan that you can start actioning that very day – unless you want to relax after our lovely afternoon tea together! Before this though, we will have a chat to get to know one another, I can find out about you and your business and give you some pointers of what to think about before the session, and you can get to know how I work and what we expect to achieve from our session together. This also allows me time to complete some research on your business and anything we discussed that you want to cover in the session. And finally, I won’t leave you skipping off into the sunset happily tweaking your business until it’s perfect, we’ll arrange to catch up again after a month or so to see how you are getting on and work out how to get round any obstacles that have popped up. In the meantime, you’ll probably think of some questions that you forgot to ask when we met, or have thought of since. You might want to check you are on the right track, or get some more advice. No problem, I’ll happily answer your questions by email while we wait for that final catch-up. To enter the #MumsTakeOnBusiness prize draw on Facebook, please like or comment on any tips featuring #BizTips4Mums posted by the Synergy Business Support Facebook page. To enter the #MumsTakeOnBusiness prize draw on Twitter, please Follow @Synergy_Support, then retweet or reply to any tips featuring the hashtag #BizTips4Mums. All entries must include the hashtag #BizTips4Mums to be counted. The more tips you interact with, the more times your name will be entered into the prize draw! However only one entry per day will be accepted and anyone found to use multiple accounts to enter will be ineligible. Comments and replies may contain your own business tips for mums, Synergy Business Support may use these (attributed to you) in whole or in part in online and offline marketing activities. Entries are open from Monday 20 June 2016 to midnight Sunday 17 July 2016 (the “Closing Date”). The Prize will entitle the winner to a business development session with traditional afternoon tea at one of the five local venues listed below. The winner will choose their preferred venue: Shendish Manor, The Grove Hotel, Luton Hoo Hotel, Bletchley Park or Missenden Abbey. In the event that the winner is unable to find a mutually convenient date and time for the Prize session to physically take place within 3 months of the closing date, they will forfeit the Prize and cash will not be awarded in lieu of any element of the Prize. Alternatively the winner may elect to undertake an on-line meeting instead at any mutually convenient time during the eligible 3 month period. The Winner will be randomly selected by Synergy Business Support on 19 July 2016 (video selection to be shared on Facebook and Twitter) and notified through the social media platforms used to enter the prize draw i.e. Facebook or Twitter, within 7 days of the Closing Date. The winner must acknowledge the above notification by direct message on the social media platform used to enter the prize draw i.e. Facebook or Twitter. If Synergy Business Support has not received such notification by 2 August 2016 the prize will be forfeited and an alternative winner drawn. The winner will be the person named on the social media account used for entry, or the owner of the account if it is in a business name. The Prize is not transferrable to another person. By accepting the Prize, the winner agrees to participate in and co-operate as required with all reasonable media editorial requests relating to the Prize, including but not limited to, being featured on the Synergy Business Support Facebook page and Twitter feed. The prize draw is only open to UK residents aged 18 or over, excluding employees and agents of Synergy Business Support and anyone professionally connected with the administration of the prize draw. All tweets and posts must adhere to the policies set forth in the relevant platform, either Twitter rules and Facebook terms and policies. There is a complete release of Facebook by all participants. This promotion is in no way sponsored, endorsed or administered by, or associated with Facebook or Twitter. Synergy Business Support’s decision is final and Synergy Business Support will not enter into correspondence regarding the prize draw result and/or Prize. If for any reason this prize draw is not capable of running as planned, Synergy Business Support reserves the right to cancel, terminate, modify or suspend the prize draw.